In 2001, the Society launched an Oral History Project which recorded for posterity the memories of villagers who had lived locally through the first half of the 20th Century. 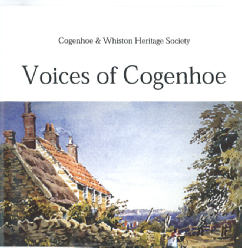 The CD “Voices of Cogenhoe” based on the interviews is an opportunity to listen to the memories and recollections of the many people who lived in Cogenhoe and Whiston. In all over 40 villagers contributed over 60 hours of taped interviews and this was condensed into a double CD with a running time of about 120 minutes. 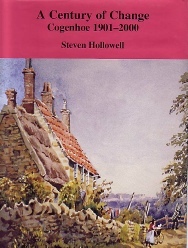 Using the same recordings as a source, Dr Steven Hollowell, a local historian and a founder member of the Society, wrote and published a comprehensive history of the village in the first half of the 20th century called ''Cogenhoe, a Century of Change”.